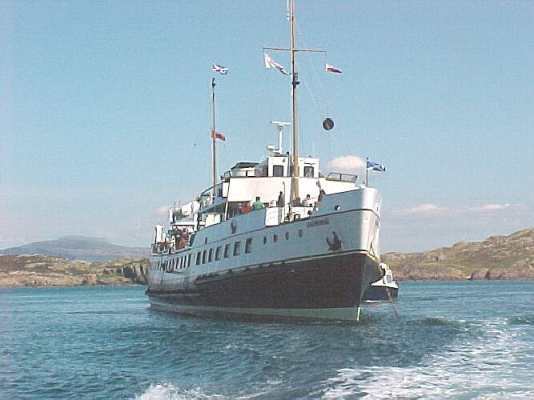 Balmorals Monday sailing was a repeat of one that she had performed in 1994. 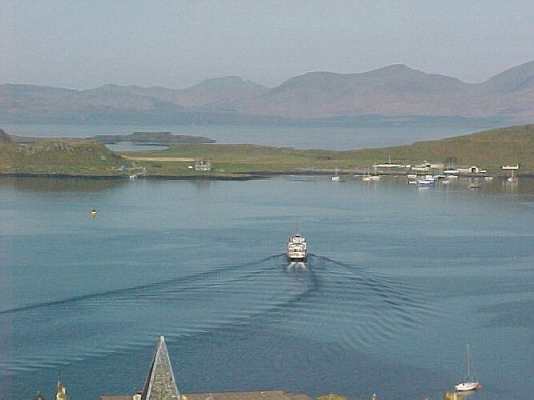 Starting at Fort William she headed south to Oban then out along the southern shore of the Isle of Mull to pass between the promontory Ross of Mull and the treacherous offshore reef know as the Torran Rocks. The weather was considerable finer than the sailing six years earlier and very clear views of the steep Mull shore to the north were complimented by crystal clear images of Colonsay to the south, almost every feature of the barren western shore of Jura from Corryvreckan to the Sound of Islay in the east and distant Tiree and the incredible rock perched lighthouses of Dubh Artach to the south and Skerryvore to the west. Both of these amazing light towers were built by the Stevenson family whose most famous son was the author R L Stevenson. Dubh Artach was built by Thomas and David Stevenson in 1872 on a rock at the southern extremity of the Torran reef. 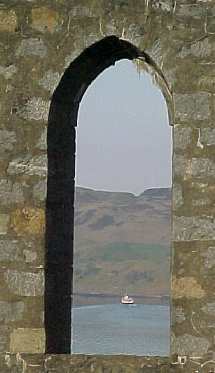 The light is 44 metres above the sea on a 38 metre high granite tower that is distinguished by a broad red band. The light characteristic is two white flashes every 30 seconds and it is visible for 20 miles in clear conditions. The foghorn emits 2 blasts every 45 seconds. This lonely tower was automated in 1971 but receives regular servicing visits from the Commissioners of Northern Lighthouses tender Pharos which is based in Oban. The Northern Lighthouse Board, as that august institution is now styled, dates from the 1780s and performs the same task in Scotland and the Isle of Man as does Trinity House in England and Wales. Skerryvore was built by Alan Stevenson in 1844. 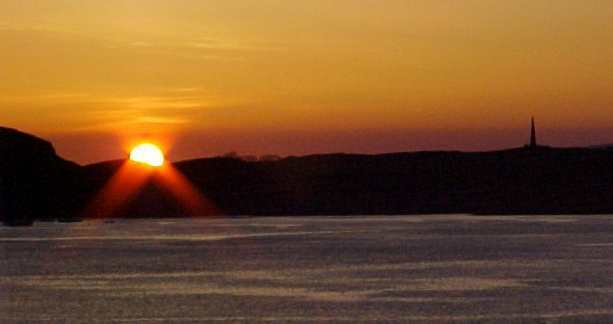 It lies 25 miles to the west of the Ross of Mull and 14 miles south of the island of Tiree, the nearest land. The 48 metre high granite tower sits on a rock which is submerged most of the time so the lighthouse appears to rise right out of the sea. The light characteristic is one white flash every 10 seconds and it is visible, nominally, over 26 miles. 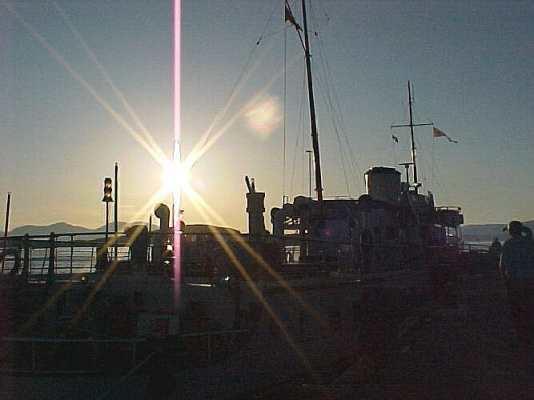 The foghorn emits 1 blast every 60 seconds. 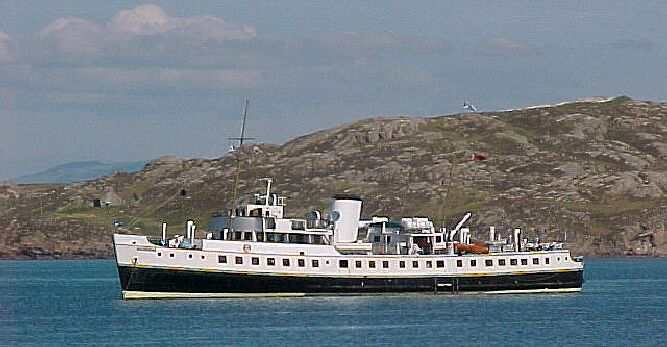 Skerryvore was gutted by fire in 1954 but restored to full service in 1959 and it was automated in the 1990s. Skerryvore along with Barra Head lighthouse in the Outer Hebrides, Dubh Artach, the Rhinns of Islay lighthouse on the west side of Islay and the Mull of Kintyre lighthouse form a line of lights that mark the safe extremity for ships approaching the North Channel, Firth of Clyde and Irish Sea from the Atlantic. 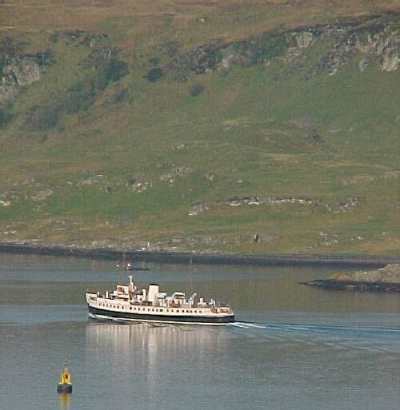 As Balmoral approached the western extremity of Mull we noted the narrow Sound of Erraid between Mull and the desolate rock isle of Erraid. Navigation through the Sound of Eraid was prohibited several years ago. 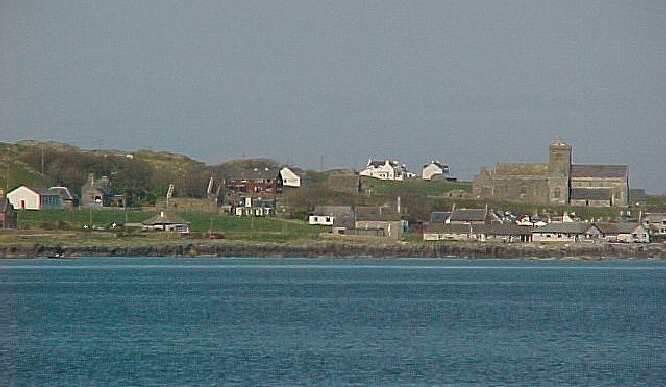 It was from Erraid that the Stevensons serviced their building of Dubh Artach and Skerryvore - it must have been a hard existence as Erraid receives the full force of the wild Atlantic. 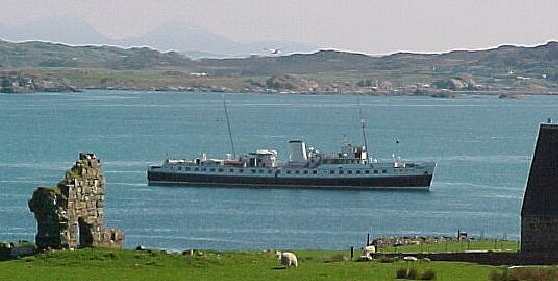 However, as Balmoral sailed round into the Sound of Iona for the second time in her long career the waters of the light green / blue sound could not have been more peaceful. Often there is a swell running the through the Sound of Iona on the most peaceful of days but on that day the waters were perfectly still. 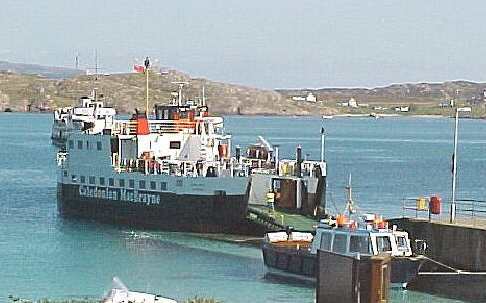 The stillness of the sea allowed Capt Gellatly to anchor Balmoral very close the Ionas stone slipway and thereby minimise the ferry runs from the ship to the shore. With the elimination of this operation at the Bristol Channel island of Lundy, Balmoral and Waverleys only ferryboat landings are now at Steepholm (also in the Bristol Channel) and Iona. The ancient practice of landing passengers from large vessels by way of ferryboat may, sadly, become a thing of the past in the near future if new safety legislation prohibits the practice. 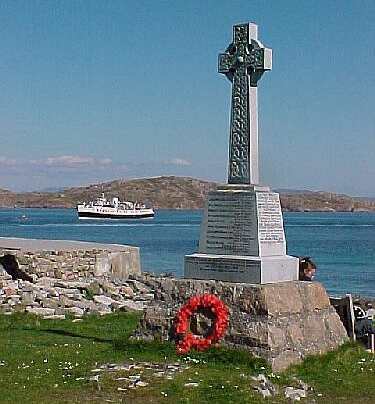 It is difficult to see how the new laws will improve an already exemplary safety record and it will be a matter of great regret if the tradition of seaborne pilgrimage to Iona is destroyed off by 21st Century Eurocrats. 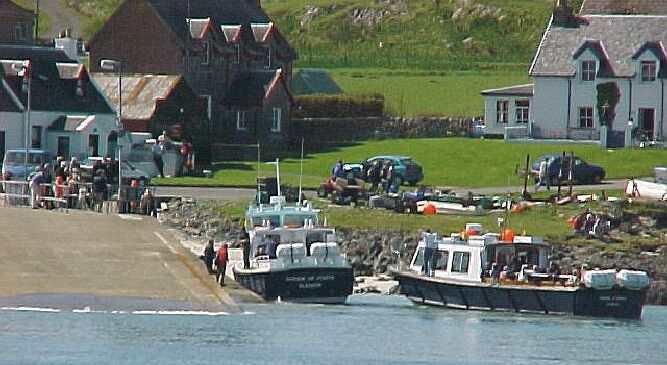 After all, did Columba himself not arrive on Iona in a wee boat? 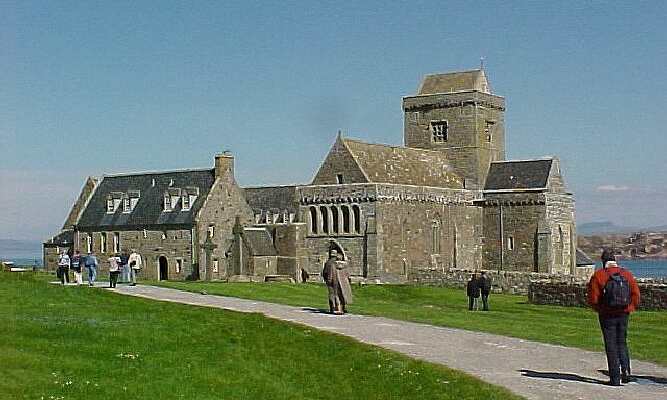 Iona has become a place of world pilgrimage, not just by adherents of the Christian faith although that is the faith that Columba brought to the Picts and Scotland from Ireland. 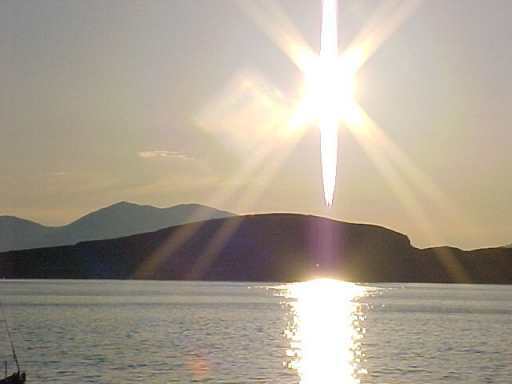 Those who have visited Iona many times will know of the amazing, enduring peace that prevails on the island - no matter how many tourists flock to the island on sunny days such as that one, the peace is never broken. 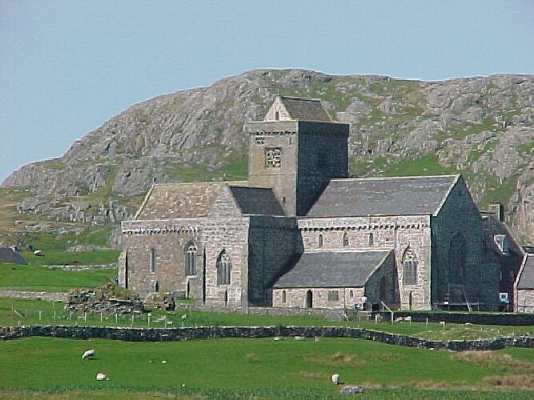 Iona is a special place - burial place of many kings of Scotland and Norway, burial place more recently of Right Honorable John Smith MP QC, Leader of HM Opposition until his untimely death. He was well aware of Ionas special qualities and his burial there was a mark of the mutual respect between him and the islanders of Iona. 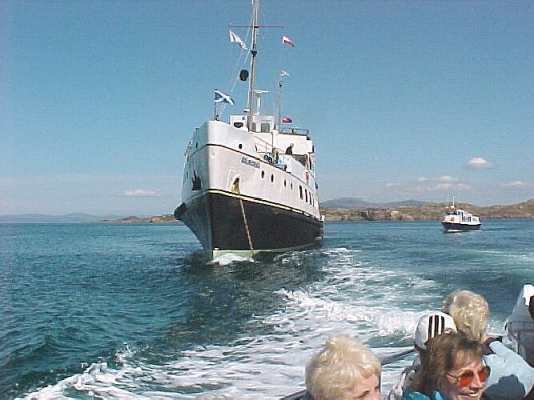 As Balmoral anchored the two little tenders Fingal and Ossian of Staffa started to ferry the motor ships passengers ashore. These handy little craft are operated by local man Gordon Grant and those of Balmorals passengers who regularly visit Iona will always remember, silently, the young men of Iona who operated these boats until there untimely passing in a tragic accident in 1998. Our sadness for Iona was deep and profound. Ashore it was hot as we wended our way on the road that passes through the village and the nunnery on its way to the Abbey Church of St Mary on the slopes of Dun I, Ionas highest point. 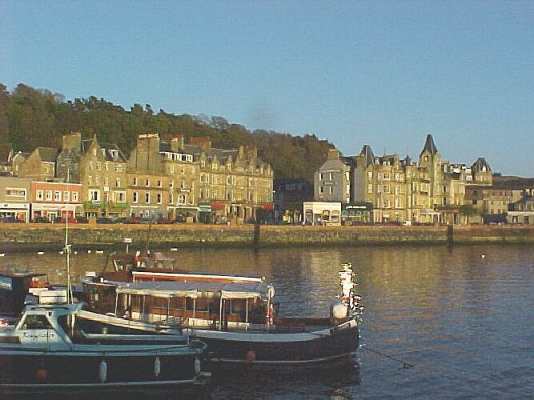 We continued on past the restored Abbey to photograph it and Balmoral, lying peacefully in the clear blue Sound. To the north the was an excellent view of the famous rocky isle of Staffa and to the East a breathtaking view over the backbone Ross of Mull to Loch na Keal. We returned to the white sandy beach south of the jetty and relaxed there in the utter silence watching the CalMac ferry Loch Buie shuttle back and forth past Balmoral on her way over to Fionnphort on Mull. Too soon it was time to reboard Ossian for the short trip back out to Balmoral. It is difficult to leave Iona - some say that once you have gone there you never really leave the place - certainly there is always a call to return. 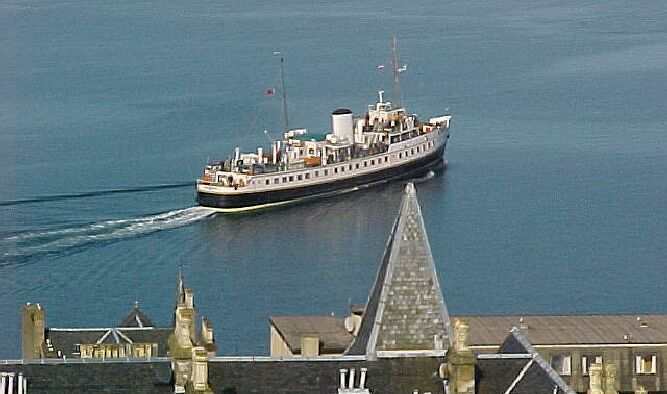 Lets hope that Balmoral and Waverley can return to Iona on many more occasions in future. 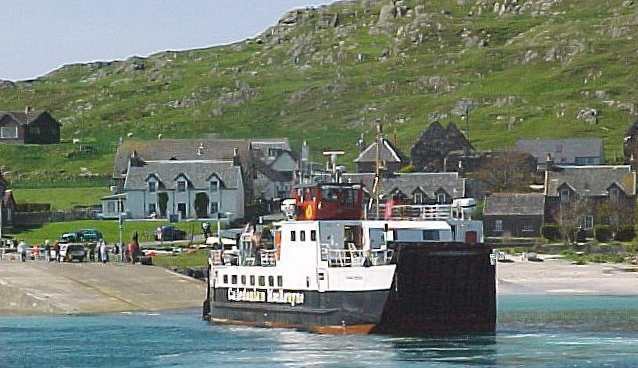 Ive visited Iona many times - always by sea, never overland via Mull - firstly on the magnificent turbine steamer King George V in the 1960s and later on the ferry Columba and several times on Waverley and Balmoral. It would be difficult to change the habit of a lifetime. Balmoral returned to Oban in glorious sunshine and lay at the North Pier as another spectacular Oban sunset fell behind her. Early next morning as the sun shone again she drew away from the North Pier to make her way back to the Clyde and Waverleys base in Glasgow. 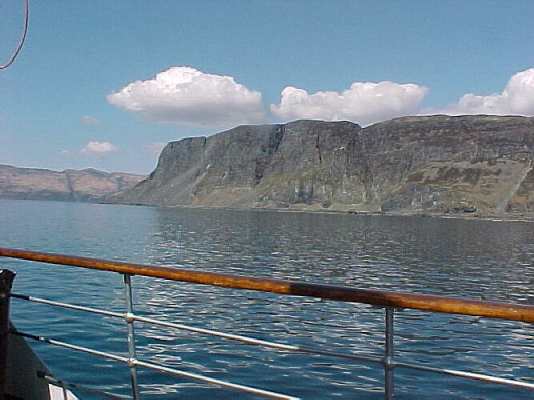 The tremendous weather enticed me to forego that wonderful sail and spend some more time in the sun-blessed Hebrides. So the story of Balmorals return to the Clyde is for someone else to tell.